North of the big city of Toronto lies two counties which the locals feel are so close they should just put them together. Known as Grey Bruce, these to areas made up of Kincardine, Port Elgin, Southampton, Sauble Beach, Owen Sound, Wiarton, Tobermory, Meaford and Collingwood are a large space with so many wonderful things to see. 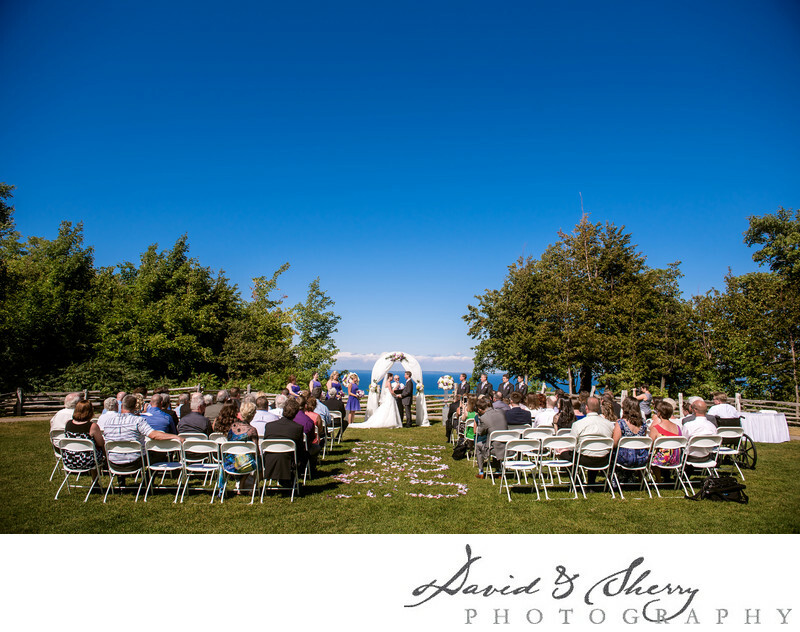 With instant access to Lake huron and Georgian Bay, this natural wonder is a perfect place to have a wedding. 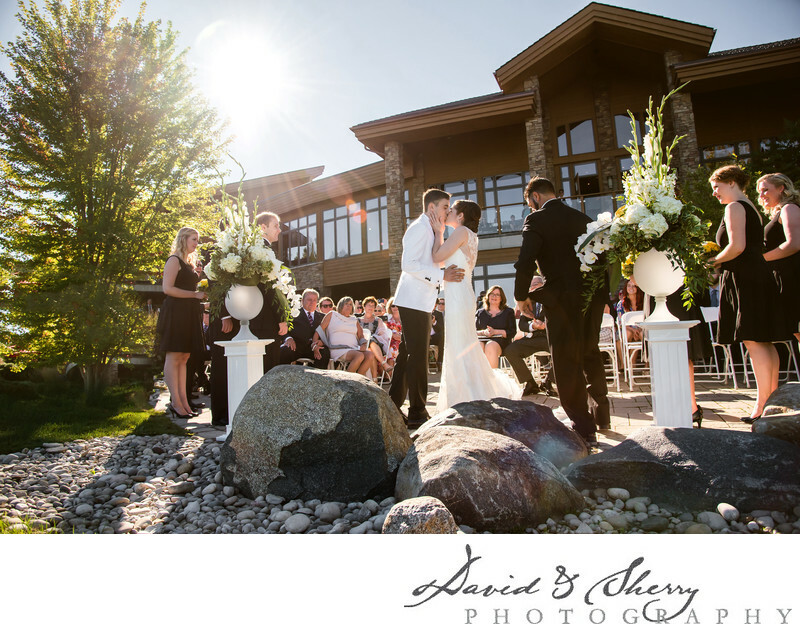 The heart and most popular tourist area of the region Collingwood boasts many wonderful wedding venues including Lora Bay, Cranberry Resort and Blue Mountain. 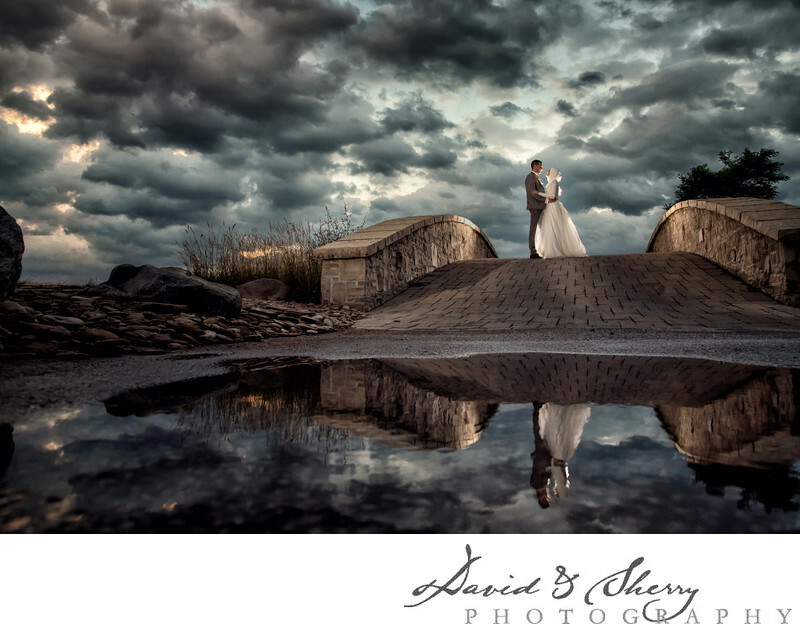 A town we frequent, this resort community where the Niagara escarpment drops off into the bay offers wonderful views and is quite possibly the most scenic place to get married in Ontario. A quaint little town with a small feel and friendly people, the bay comes right into the middle of town and the unique feature are the many waterfalls that drop into the bay. All are accessible and are available to take wedding and engagement pictures at and include Inglis Falls, Indian Falls and Potawatomy Falls. Just north of Owen Sound in the village of Kemble lies the best wedding venue on Georgian Bay, Cobble Beach. With a brand new pavilion with glass all around with full view of the water this 220 seat capacity venue is the perfect place to hold a relaxing and wonderful event for all of your guests and will be the talk of your bridal party for years to come. As you head north to Wiarton and Tobermory there are many private cottage weddings held along the shores on both sides of the peninsula. 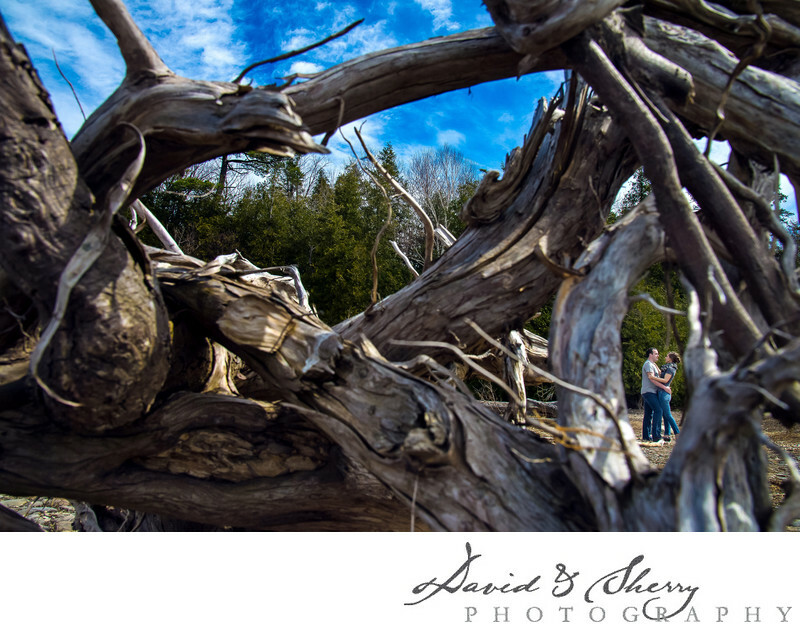 Some fantastic places to take pictures exist at Cyprus Lake and The Grotto, Spirit Rock Conservation Area, Sauble Beach and Sauble Falls. Many of the weddings we have done here over the years have been in people's private back yards, in tents, or at the Saugeen Golf Club. There are a number of beach access points along Lake Huron which have beautiful sand beaches with views to the lighthouse and proximity to everything in Port Elgin. The neighbouring cities of Kincardine and Southampton are similar in their feel and offer some really nice places as well. For small weddings there are many venue options, for larger ones you're probably looking for a tent. 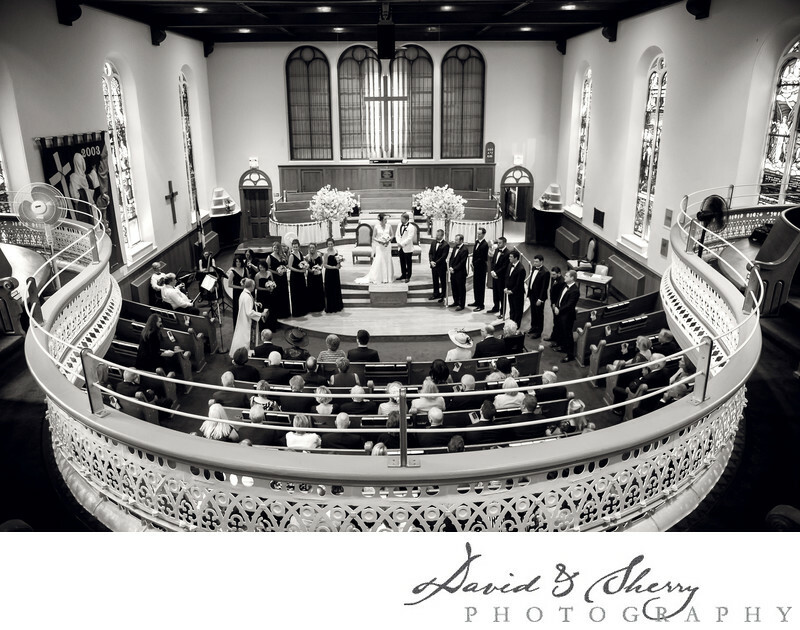 Our approach to weddings over the years has been to capture real emotion, natural moments and beautiful landscapes in a stylish way that will look great a century from now as it does today. We strive to capture beautiful photographs using style, colour, texture, mood, emotion, storytelling, and composition to create timeless images for each part of the day. Early on we are using our Nikon cameras to get photojournalistic moments, later in the day we are creating classic portraits and unique images of the bride and groom, and we will use our skills as macro photo experts to get great shots of your details. We will deliver to you stunning images and we hope you say they are the most beautiful pictures of yourself you've ever seen.